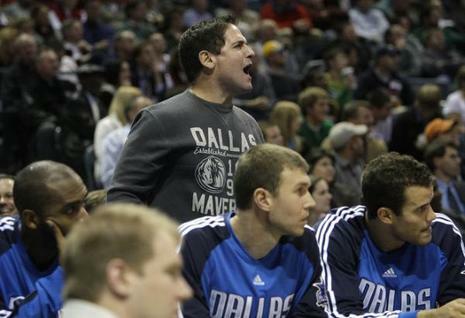 The Dallas Mavericks' dynamic duo was enough to end the Milwaukee Bucks' home-court winning streak on Monday night. 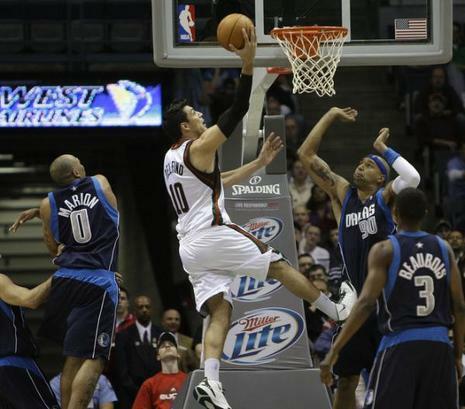 Point guard Jason Kidd finished with 17 assists, the last one on an inbounds pass to forward Dirk Nowitzki, who sank an 18-foot fadeaway jumper to give the Mavericks a heart-pounding, 115-113 overtime victory. PLAYER OF THE GAME: Dirk Nowitzki hit the game-winning shot in the final second of overtime and had 32 points and 11 rebounds to pace the Mavericks. PLAY OF THE GAME: Jason Kidd inbounded the ball on the final play, and Dallas was able to get the ball to Nowitzki, who was defended by Luc Richard Mbah a Moute. 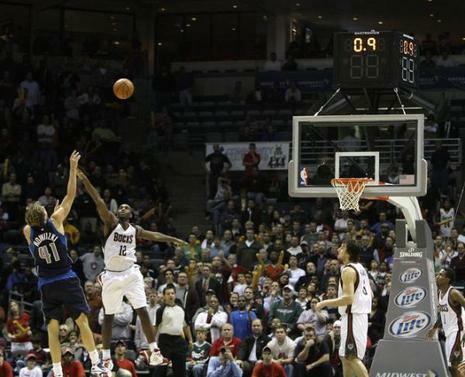 Nowitzki shot the 18-footer with confidence, and it bounced up before falling straight through the rim.